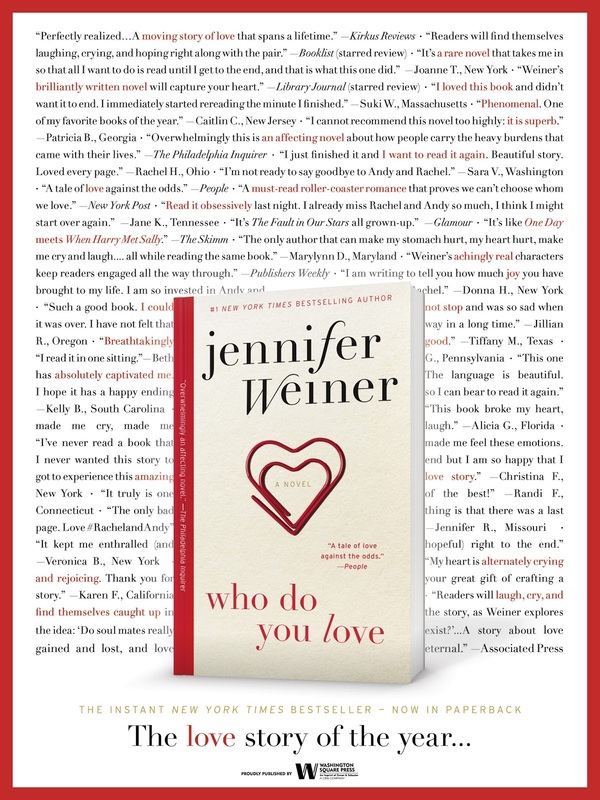 BOOK BARISTAS: ON SALE: Who Do You Love by Jennifer Weiner in Paperback! 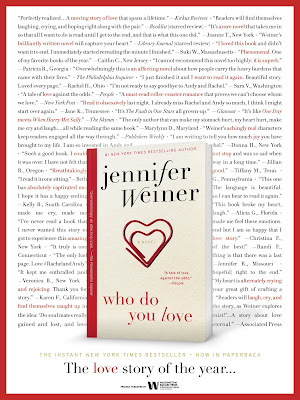 ON SALE: Who Do You Love by Jennifer Weiner in Paperback! ONE OF THE BEST-LOVED NOVELS OF 2015 NOW IN PAPERBACK! I absolutely adore this story of second-chance love! Here is a snippet of my review: "This story is about learning to love what you have, making sacrifices for the ones you love and figuring out how to get through life’s messy situations, unscathed. Were Andy and Rachel soul mates? Were soul mates a reality? 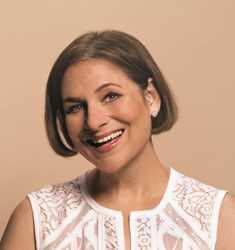 Jennifer Weiner’s writing will make you believe that fate is tangible and true love is inescapable." Jennifer Weiner is the #1 New York Times bestselling author of twelve books, including Good in Bed, In Her Shoes, which was made into a major motion picture, and Who Do You Love. A graduate of Princeton University and contributor to the New York Times Opinion section, Jennifer lives with her family in Philadelphia. Visit her online at JenniferWeiner.com. Nice to read this review.First time I am visiting this blog. I found so many interesting stuffs in this blog.I like your writing style.Thank you so much for sharing this blog.